Anthony Ginting produced some of his best badminton in recent times. Anthony Ginting revved back to form in a breezy win over Chen Long in the quarterfinals of the Singapore Open 2019, on a day that witnessed men’s singles at its best. Speedy in movement, bite in his smashes, no evidence of self-doubt – these characteristics stood out in Ginting’s 21-8 21-19 win over Chen Long. It was possibly his most authoritative display in a mixed season so far, which has seen him crash out in the first round of the All England and the Malaysia Open, and showcased his return to form after tentative recent performances. Not many players hold a positive win-loss record over the Olympic champion; Ginting is one of them. His pace and relentless attack proved too hot to handle for Chen, who fell to his sixth loss in nine matches against the Indonesian. 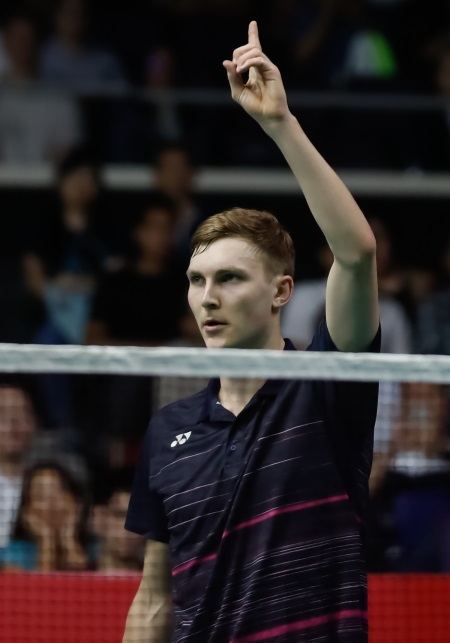 The other three men’s singles quarterfinals too were absorbing affairs, with the standout being Viktor Axelsen’s three-game victory over Jonatan Christie. The other two quarterfinals saw top seed Kento Momota maintain his dominance over Kidambi Srikanth, 21-18 19-21 21-9, while Chou Tien Chen stopped another Indian, Sameer Verma, 21-10 15-21 21-15. The Axelsen-Christie bout pitted two attacking players against each other. Last week Christie had edged out Axelsen in straight games; today was more of a roller-coaster. Both combatants held nothing back – it was all-out attack even at critical moments. Christie had two match points; both were saved by an alert Axelsen. A shuttle hit long by the Indonesian then gave Axelsen his second match point, and the end came anti-climactically with the Dane driving a winner to an innocuous shot that was marginally loose. “It is a pity because there were times where I was leading but I could not finish the match well. It is a very good lesson for me. Viktor played well today and he could read my fast playing style but and the outcome of the decisions that I made for the last few points were quite unlucky,” said Christie. Kong Hee Yong (left) and Kim Hye Jeong. 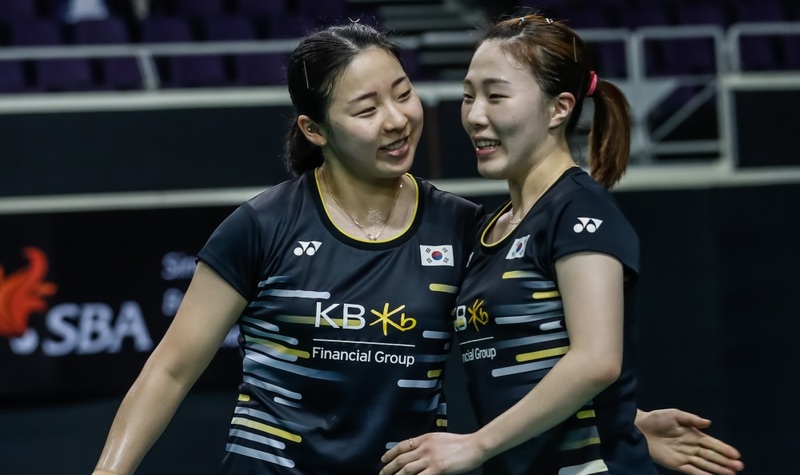 Korea’s Kim Hye Jeong/Kong Hee Yong blew away women’s doubles seventh seeds Nami Matsuyama/Chiharu Shida 21-13 21-13, to take their semifinal place against China’s Liu Xuanxuan/Xia Yuting. Young Chinese Cai Yanyan proved a handful for Pusarla V Sindhu before the Indian found her rhythm in the third game: 21-13 17-21 21-14. Malaysia’s Tan Kian Meng/Lai Pei Jing were narrow winners over Indonesia’s Ricky Karandasuwardi/Pia Bernadeth, 22-20 14-21 21-18 in mixed doubles. “I think I have to be prepared for a long match tomorrow and it is not going to be easy. We have played a lot of times now,” Pusarla V Sindhu on her upcoming semifinal against Nozomi Okuhara.